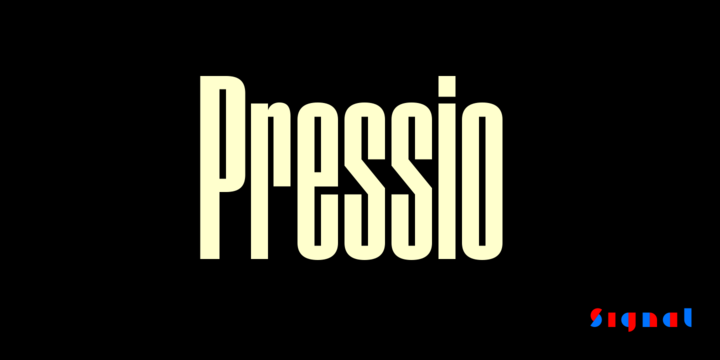 Pressio is a sans serif typeface created by Max Phillips and published by Signal which comes in 20 styles, 4 widths (Normal, Condensed, Compressed, X-Compressed) each with 4 weights (from Light to Black), a set of styllistic alternates and multilingual support. Higher curves are thin and the clarity offers the square counters. It merge well on high X-height. It is suitable on any kind of project. Have fun! Price: starting from $50 for one font to $400 for all 20 fonts. A font description published on Tuesday, October 31st, 2017 in Fonts, Max Phillips, Signal by Alexandra that has 1,804 views.